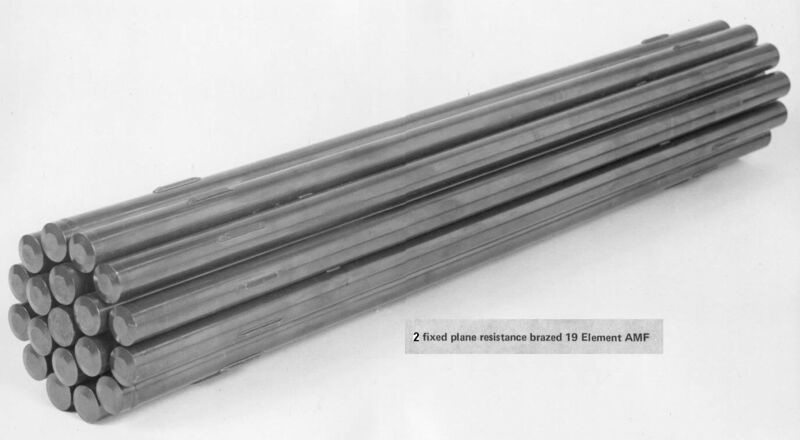 This bundle has two planes of spacers. The domed end caps have been replaced by normal solid ones to better survive the fueling machine side stop loads and remove the need of brazing the elements ends. The bearing pads were now standard.